It’s not uncommon for cat lovers to be plant lovers as well. But what plants are safe for your cat? Whether you have extensive outdoor gardens or simply have some potted plants indoors (or an extensive collection of indoor plants, like me), it’s vital that every cat owner know the basics about plant safety for felines. Interactions between cats and plants isn’t something many people spend a lot of time thinking about, other than expressing concerns about holiday poinsettias (and in fact, poinsettias are only mildly poisonous to cats and dogs). 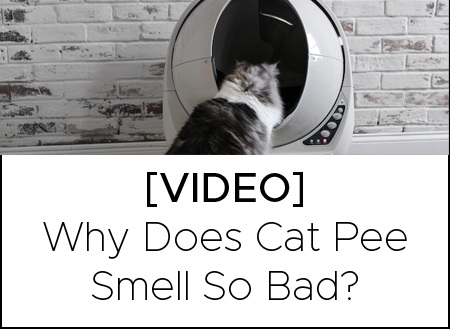 But when you consider the many ordinary, everyday plants that can have catastrophic effects on your cat’s health, you owe it to your pet to pay attention. Here is a list of common plants that pets should never consume. If you have questions about a particular plant, consult your veterinarian or the ASPCA’s list of Toxic and Non-Toxic Plants. These showy flowers are popular around the winter holidays, but they can cause vomiting and diarrhea in cats. These plants can cause drooling, vomiting, diarrhea, and in large quantities can cause death. These staples of autumn décor cause drooling, vomiting, diarrhea, and loss of coordination. This beautiful flowering plant can cause drooling, vomiting, diarrhea, and, if the root is consumed, can cause heart rhythm abnormalities, seizures, and death. The leaves of this common in- and outdoor plant can cause vomiting, abdominal pain, drooling, and diarrhea. Even tiny amounts of these plants are highly toxic to cats and can cause kidney failure. This plant depresses the central nervous system and can cause drooling, vomiting, and diarrhea. The leaves and flowers of this outdoor shrub can cause severe vomiting, slow the heart, and even cause death. This common houseplant can cause drooling, vomiting, and irritation of the mouth and lips. Another common houseplant, pothos will irritate the mouth and gastrointestinal tract of many cats. Popular in warmer climates, this plant can cause vomiting, bloody stools, damage to the stomach lining, liver failure, and even death. The bulbs of both plants can cause drooling and convulsions, and the blooms and greenery have smaller quantities of the same toxins. If you think your cat has consumed any of the plants listed above or if you notice any of the common signs of plant poisoning, contact your veterinarian immediately. It’s no surprise that this plant is safe for your cat. Some cats like catnip, and some love it! It tends to provide a mild euphoria, followed by relaxation. Less well known than catnip, this plant has similar effects, and will often produce results in cats who don’t respond typically to catnip. This herb has been used for generations in people for its relaxing effects, but it has quite a different effect on cats. Valerian can be a great stimulant, particularly for overweight cats who don’t get enough activity. Super quick and easy to grow, these tender greens can help settle your cat’s stomach and can help with alleviating problems associated with hairballs. Another quick-sprouting option for your feline are bean sprouts. These delicate little morsels are safe, and some cats adore them. Flowers may look lovely, but if you’re not careful, they can spell trouble for your cat. Taking the time to research which plants are safe and which aren’t can save you on vet bills and heartache. Stick to the list of safe plants to prevent illness and promote health and happiness in your pet!